From Mozart to music science. We have programs that appeal to many interests. Music has no age limits. Our Senior Series reaches all corners of the state. Watch videos of our performances and hear audio clips. Double Reed. Double Bass. Licensed to Thrill. Oboe and Bass? Really? Learn more about the world's only professional oboe bass duo. 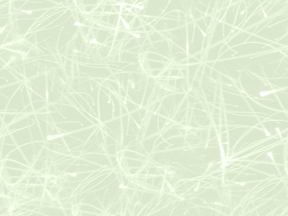 Chamber music of a different color that sends you out the door humming a new tune! 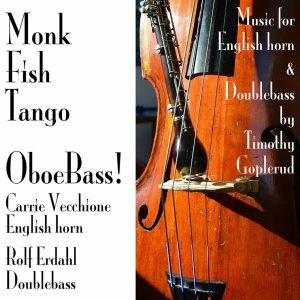 Monk Fish Tango is our newest CD. Check out all of our music here. 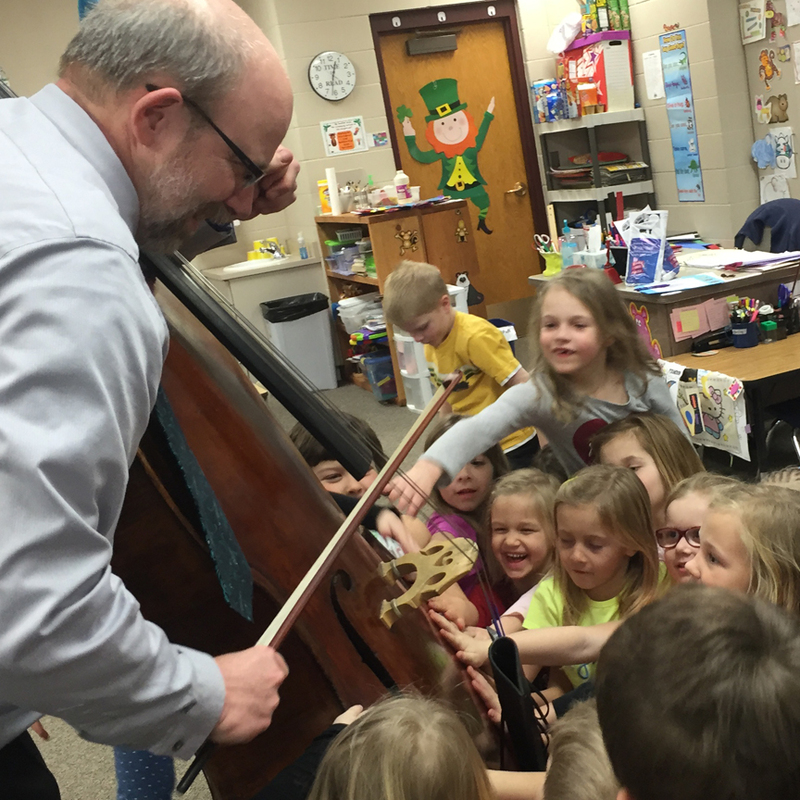 Pages of Music with Rolf and Carrie brings age-appropriate music programs to life for kids. 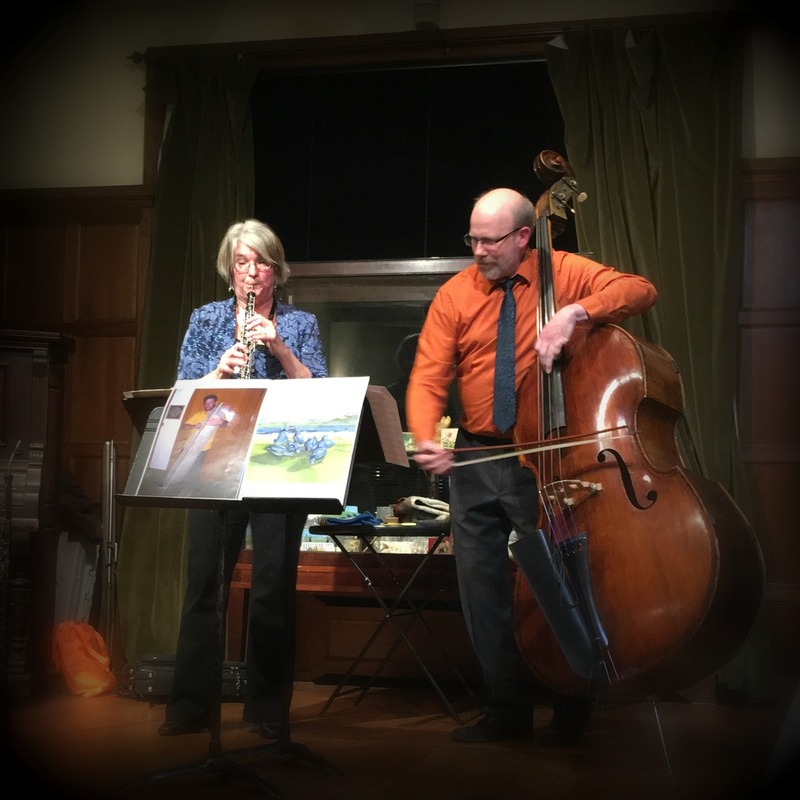 A performance of Rolf Erdahl and Carrie Vecchione promises to be a rewarding musical experience… I highly recommend them. I had to leave the concert hall after your portion was complete: I did not want any other music in my head but yours the rest of the day. Now, two mornings later, I’m still hearing it. That short concert at Landmark Center Thursday was thrilling. To hear newly composed music for your instruments: what a nice change of pace for that series. And to think that I almost let the press of work and the chill keep me at my office that day! The duo presented an evening worth remembering for our audience. 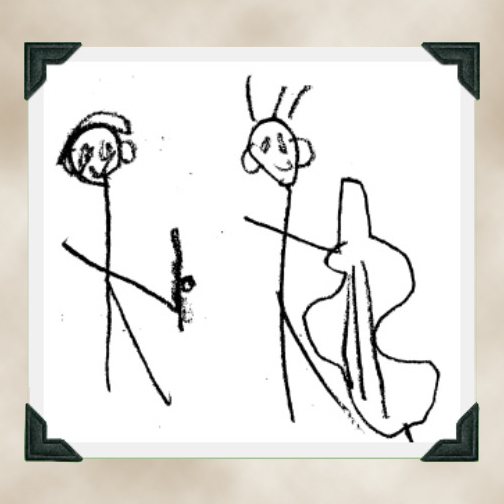 Both musicians are superb on their instruments and together, they make a delightful and intriguing sound. The selections they chose to share were most challenging and exciting.